What Things To Do in Sofia Bulgaria? Here is another bargain holiday presented to you by Underground Hogs. This time – it’s Sofia, Bulgaria. It’s quite a big country in the South of Europe. With the average temperatures of 0 – 20C, this is a great place to spend your holidays cheaply, just target April – November for the best weather conditions. But like in any country you need to know what things to do in Sofia Bulgaria once you arrived there. How should I reach Sofia Bulgaria? What things to do in Sofia Bulgaria during my holiday? What language do they speak? What currency do they use? What time zone are they in? and many more… We will try to answer every single one of them, but in case we missed any – please ask in the comments’ section and we will do our best to help you out. Sofia is the capital of Bulgaria. With a population of over a million, Sofia stands high in the ranks. However, the country itself is quite poor. On the other hand, it’s very good for the tourists, because they get bargain prices for the best services. Of course, local people are smart and understand that tourists are full of cash, so expect to pay the premium prices, if you don’t know where to go. 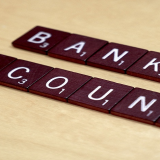 This article will help you to alleviate these issues. The country is in the UTC +2/3 time zone, depending on the season. It’s in the European Union, but doesn’t use Euro yet. 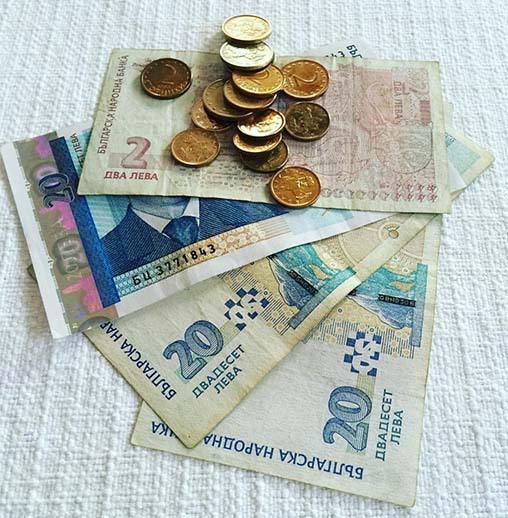 The currency of Bulgaria is Bulgarian Lev. It’s exchange rate is 1€ to 2 leva. For example, if museum’s entry price is 20 leva, it’s 10€. Bulgarians also don’t really speak English. Some of them do, but expect to use the gestures to explain what you want. And expect to get the wrong thing you asked for too – happened to me more than once. How Should You Get To Sofia? Sofia is a huge city, so getting there isn’t a problem. The easiest way to reach it is by plane. Ryanair flies there for a mere £15. To put this into perspective, we paid £24 just for the airport parking and another £24 for fuel in the UK. We flew there from Birmingham, but most of the cities are interconnected by Ryanair flights, so finding a flight should not be a problem. You can also use a bus, a car or a train, but I would not recommend using any of those, since it’s going to be more expensive and it will take longer. Once you landed in Sofia airport, I would suggest you to say NO to all the taxi drivers. 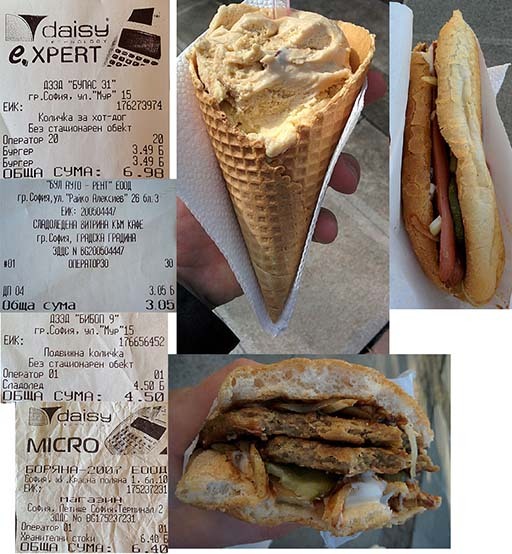 They will rip you off, since they understand that you are a tourist, unless you speak perfect Bulgarian. The best thing is to get a lift from the airport by your host, or take a metro, which takes you to the city center in 30 minutes and will cost you 1.30 leva. The price might have changed since the time we have been there, but I wouldn’t expect it to be a way higher. And putting this price into perspective to what you would pay to the taxi driver, it’s peanuts. 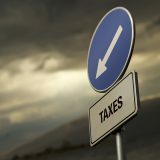 If you managed to get a good taxi driver, it would cost you about 22 leva to reach the city center. If you got the wrong one – unlucky you, probably x2 more. We got lucky and managed to get a deal with our hostess, who took us from the airport with no hiccups for the price of €10. Where Should You Stay in Sofia? As I have already told you, the country is quite poor, so staying in the hotel might be an option for you. It won’t leave a huge dent in your pocket, but still gonna cost you x2-3 times more than what we did. We would suggest you to find an apartment in AirBnb. By joining through this link you will get £30 free towards your first journey. 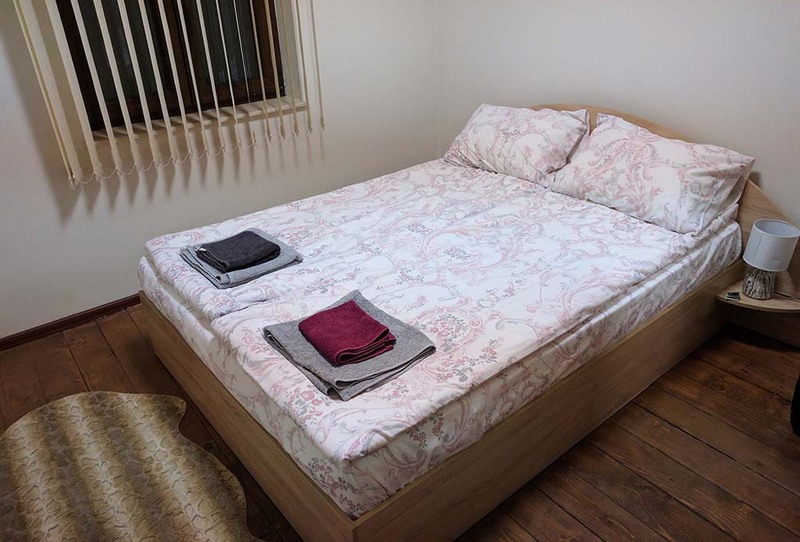 This is what we’ve got for £15 a night in the middle of Sofia city center. That’s a great apartment for a bargain price of £15 a night. This was not the lowest price we paid after all. We could have gone down to £10 a night and I don’t think it would have been much worse. If you want to save even more money, you can go with CouchSurfing and find a place to live for free. Since we were two people and wanted more freedom, and could afford it, we took the former option. 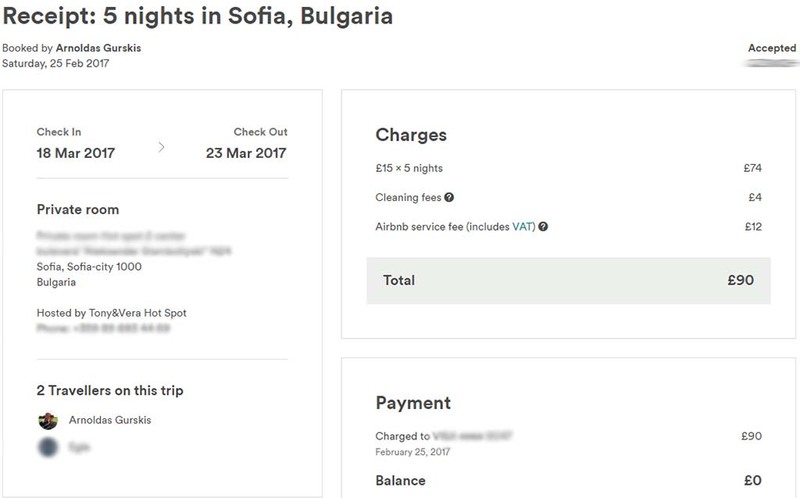 We stayed in Sofia for 5 nights and it totaled us £90 for the apartment. It’s a huge amount money for some and a little for the others, so choose wisely based on your circumstances. Although, we stayed there for 5 nights, we saw most of Sofia in 3 days. I would recommend you to stay there for no longer than 5 nights. If you are in a rush, 3 days is more than enough. However, we didn’t rush at all, so 5 nights were more than enough. You will see most of the attractions in 3 days, so staying longer is really unnecessary, unless you were as slow as we were. This doesn’t apply to the whole Bulgaria though, it’s for Sofia only. What Things Should You Do in Sofia Bulgaria? Sofia is a big city and there aren’t many free locations you can visit. Fortunately to us, it’s a quite poor city, so all the attractions are relatively cheap. Nonetheless, one of the first attractions I would recommend you to visit is actually free and it will give you a glimpse at the history of Sofia. 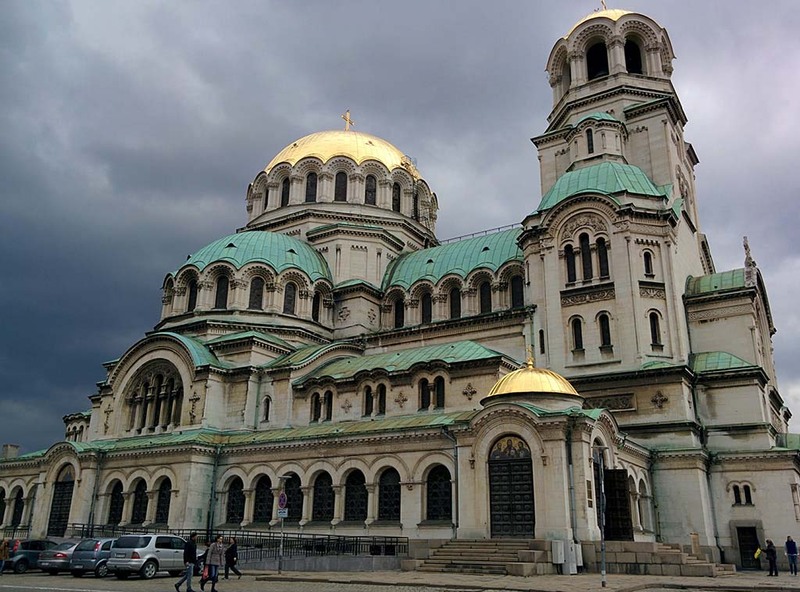 One of the very first attractions in the city is Free Sofia Tour. It’s absolutely free, but the donations are welcome. We gave a total of 5 leva altogether, a few gave 10-20 leva, others – none. I would strongly recommend you to do this the first time you get a chance. It’s happening every day at 11am and 6pm and it’s in English. Plus you need no reservation – just show up. This tour will show you most of the attractions of the city, though it will not bring you into those attractions. That’s what you will be doing after this tour yourself. Click on the image below to see the exact start location of Free Sofia Tour. This is a leaflet you will get after the tour, which contains the most recommended places to visit in Sofia. It includes clothes shops, restaurants, some museums, bars, pubs, taxi firms and so on. 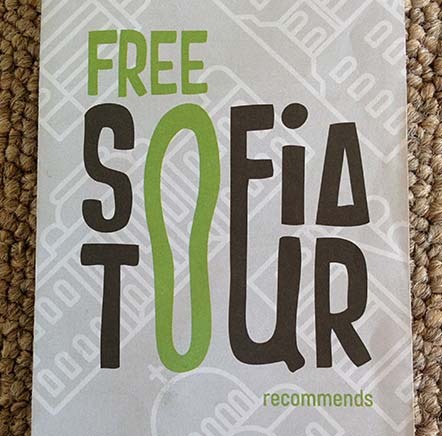 It’s worth having it, hence go to Free Sofia Tour first. There is a free hiking tour as well, which we didn’t manage to go to, unfortunately. It seems that it’s running only in April-November. However, if you are there, do a favor to yourself and go for a hike. You will see plenty of beautiful places. Here is what they say you will see. 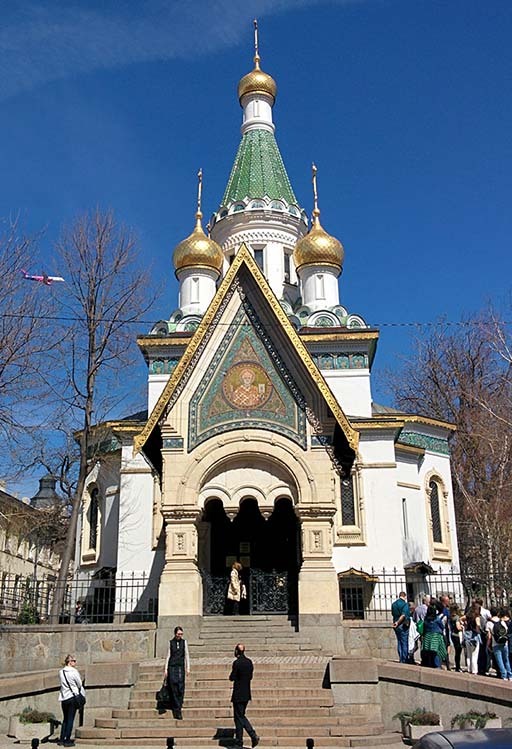 Another free attraction is St. Alexander Nevski cathedral. There are two entrances there, one as being paid, which allows you to see the paintings’ collection and another one as being free, which allows you to see the inside of cathedral. If you are interested in Islam religion, you may visit their mosque as well. It was so intimidating and interesting at the same time. It felt awesome and it was a great experience too. You can find it in the city center and it’s called Banya Bashi Mosque. 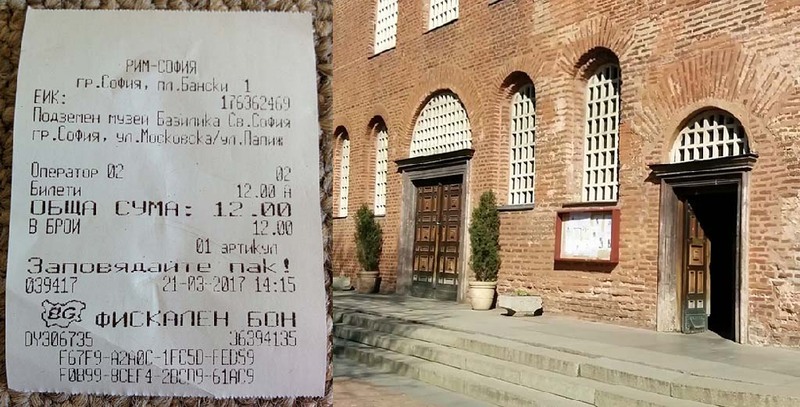 Another free church in Sofia is St. Nikolas Russian Church. You can also leave your wish note there. They believe that your wish will come true if you ask for it on your note. Don’t know how true that one is, but it’s worth a visit. And on the plus side – it’s free, so there is nothing to lose. I would strongly recommend you to go to the Park National Palace of Culture. It’s a huge park with loads of people spending their free time there. You can enjoy the mountains whilst you are watching the dusk. Since the city of Sofia was built vertically, when they started digging it, they uncovered loads of relics from the previous generations. Most of these relics are left for the public eye to see. It doesn’t cost anything to see them, so why wouldn’t you? 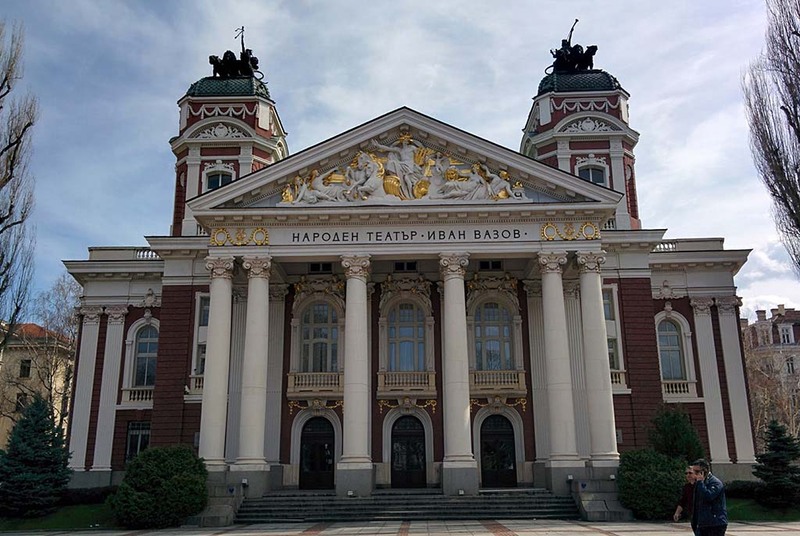 There is another wonderful park close to Ivan Vazov National Theater. You will find loads of people enjoying the sun there in the warm days. Plus there are plenty of street shops to help you fight the hunger. Unfortunately, loads of the attractions are paid in Sofia, so don’t expect to see something for free too much. Although, as I have mentioned before, entry prices are about €1-3 each, so it’s a bargain. 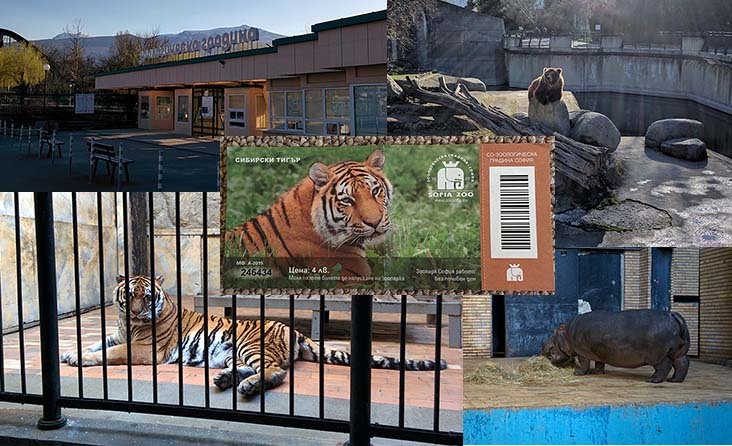 The first premium attraction I would recommend you to visit is the zoo. Do not expect it to be the level of Dublin Zoo, hence the price €2 each only. Compare this to Dublin’s Zoo price of €17.50 and you will understand why the quality cannot be at the same level. However, don’t get me wrong, it’s a huge zoo park with plenty of animals and I would suggest you not to rush in there – allow yourself the whole day. And if you have to walk there from the city center, it’s about 1.15 hour journey each way. You will need about 3-5 hours there if you are as slow as me. Here is one day gone. 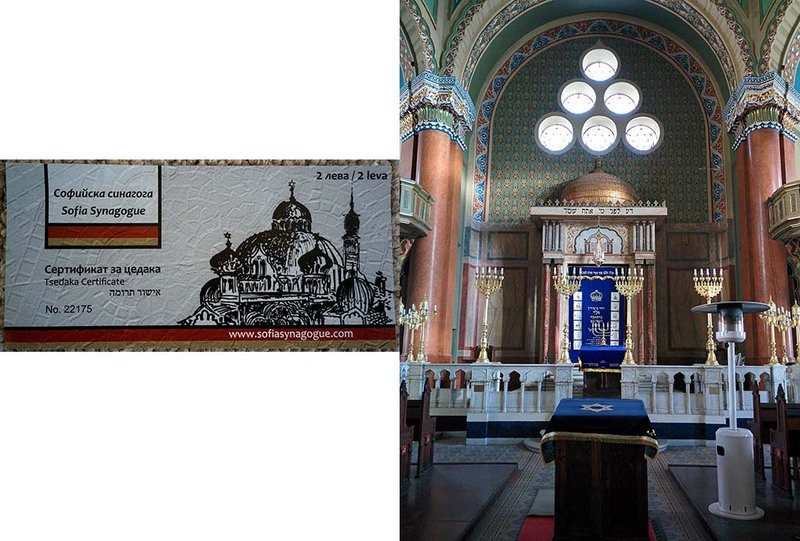 This is another premium attraction – Sofia Synagogue. It cost us €1 each. You will not spend loads of time there, but it’s worth a visit, especially if you are interested in religion or history in general. You will not spend more than 15 minutes there. 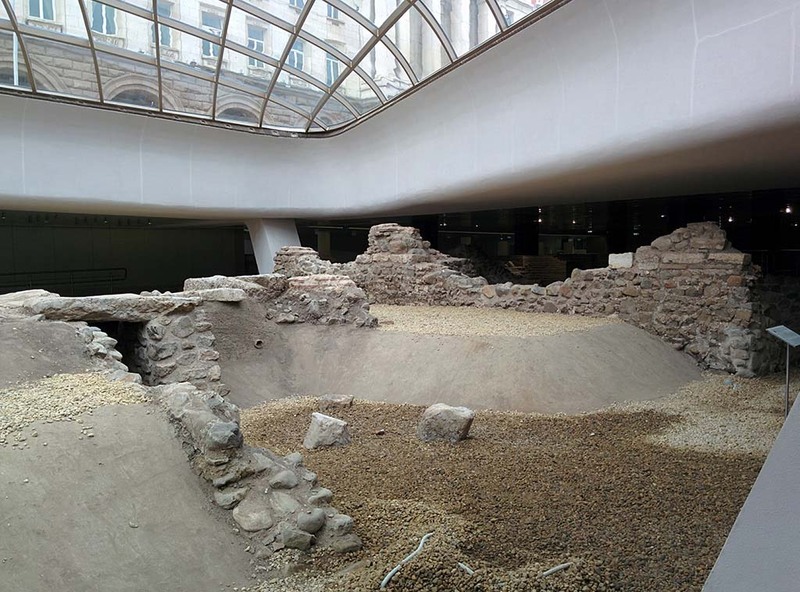 The most expensive attraction in Sofia and the least worth of anyone’s time was National Archaeology Museum. It cost us €5 each. We spent a maximum of 1 hour inside. It was a huge building with a few statues here and there. There were some paintings, a few necklaces and some other small archaeological treasuries. It seems like it cost us so much, because of the security required for these treasures. There were about 15 security officers wandering around and about 4 tourists in the whole building including us. I would recommend you to skip this museum and spend your cash somewhere else. Nonetheless, give it a glimpse and maybe next time they will have a better collection worth looking at. The church itself is free to visit, but if you want to see the underground labyrinth you will have to pay. It isn’t very dear and costs €3 per person. We spent about 30 minutes there and luckily didn’t get lost. Loads of graves with no bodies inside. Seems like not the best security measures were applied to keep them there [joking]. Definitely worth a visit and for the price of €3 you can’t complain. 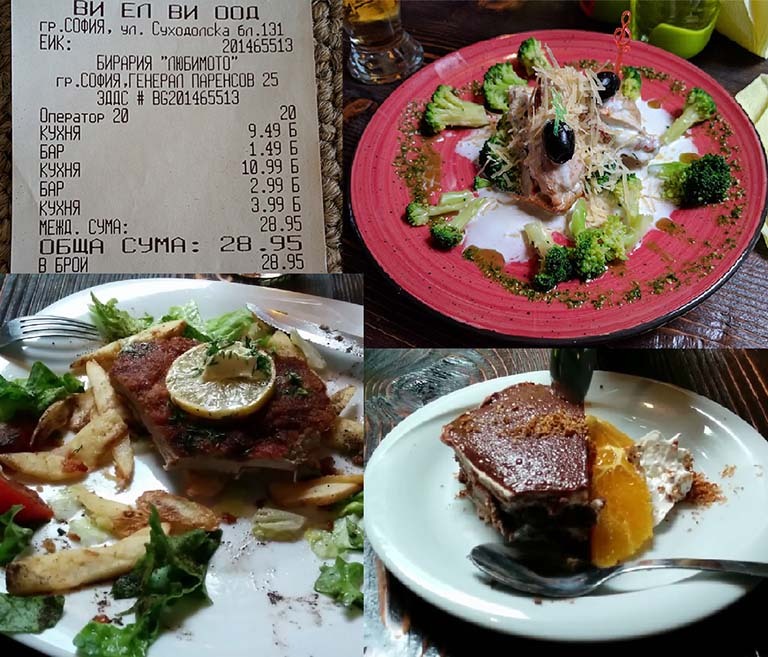 Where Should You Eat Out in Sofia Bulgaria? 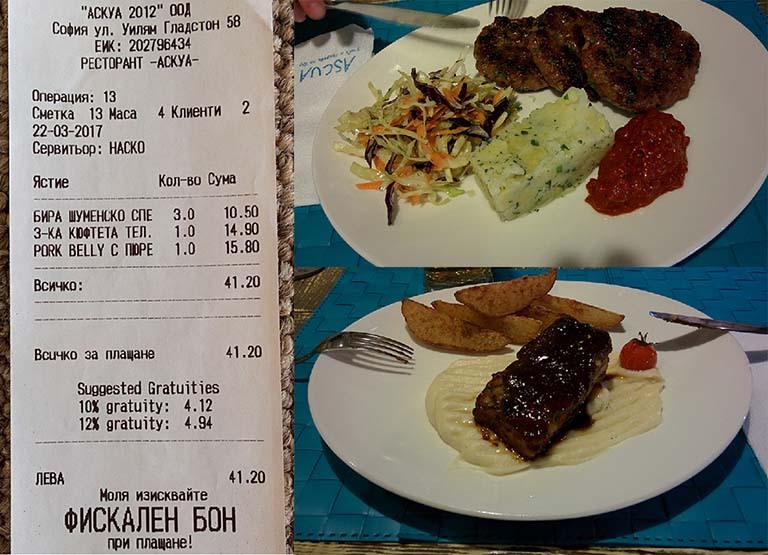 Eating in or out in Sofia is not a problem and is not expensive too. Sometimes it cost us more to make something at home. But you have to know where to go, because as I mentioned earlier, every local knows you are a tourist. 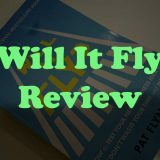 We did try three restaurants and I will review them all for you. We also ate at home. I would strongly suggest you eating your breakfast at home. It’s the most important meal of the day, plus the home is the closest place to eat. But in order to have something to eat at home, you have to buy food somewhere. 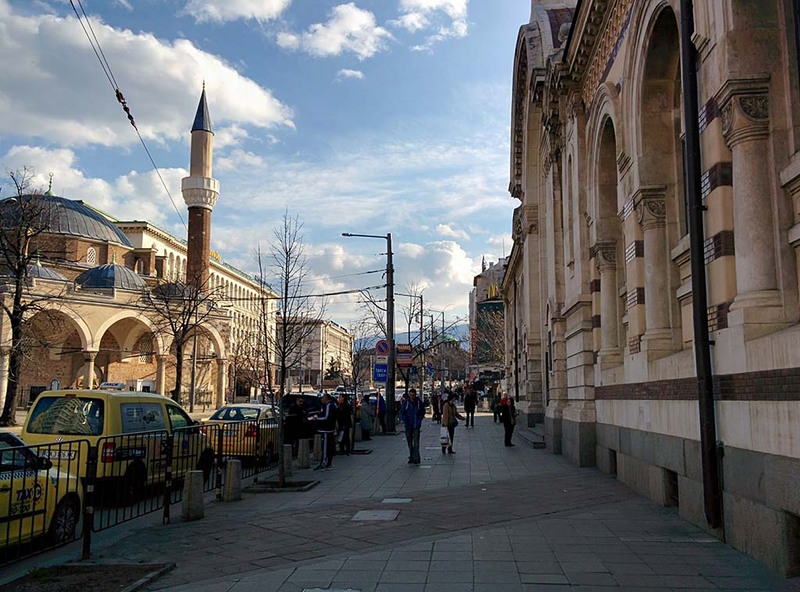 There are two best shops for your pocket and for your taste in Sofia. One is called Billa and another one is called Lidl. We were, however, very disappointed by Lidl in Sofia. On the other hand, Billa seemed like a much better place to buy food. We spent a total of 77.63 leva, which was about €39, over the five day period. And that’s completely letting it out – not really looking at the prices. It included sweets, booze, normal food, utensils, you name it. Another possibility is eating out. We did buy garbage food as well as proper restaurant level food. The garbage food was going for €1-2 for a portion. It’s burgers, sandwiches, hot dogs, home made ice creams and many more. We spent a total of 20.93 leva, which was about €10.5. The very first restaurant we visited was called Liubimoto. It means – Favorite. And to our surprise, this restaurant was definitely our favorite. The prices were low, costing about €5 for a breaded beef steak. That’s probably the highest price, because everything else cost €4 or less. The beer was just €1.5 for 500ml and it was delicious. To put this into perspective, even my girlfriend drank it, that’s how good it was. Would highly recommend this restaurant. 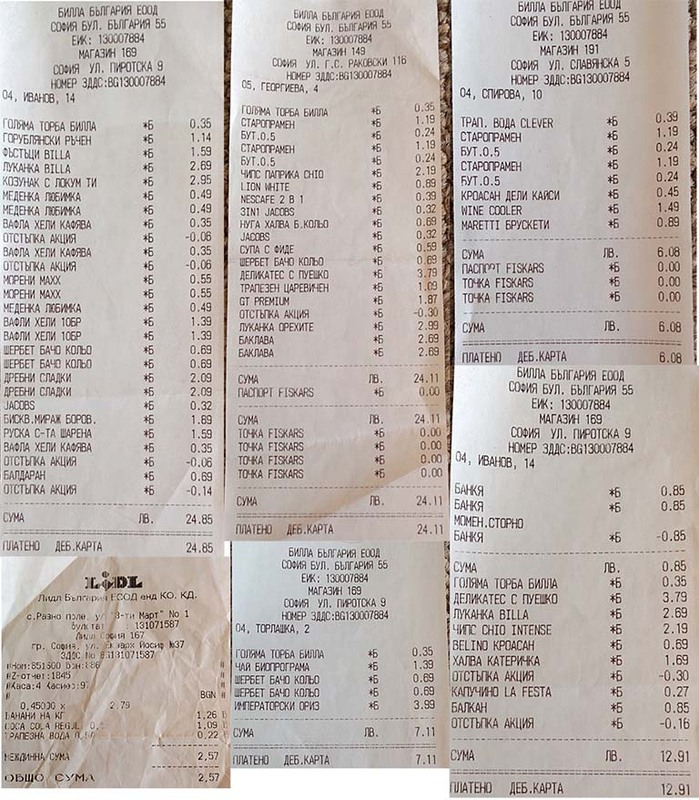 We spent the total of 28.95 leva, which was about €14.5. The next one we tried was called Izvata Tavern. The prices were higher than in the previous restaurant, but didn’t really reach the touristy prices yet. However, the waiter was a bit rude. The question was – was it because he was actually rude or because he didn’t speak English very well? Well, we will never find out. We also had to wait for a very long time till our food arrived. I would say it’s not the best customer service I have ever seen, but once we got our food… OMG, it was sooooo goood – the Asian spices, the cheese, the puff pastry and everything in between. The food was absolutely amazing and it was the best of all of the restaurants we have ever been to. If it wasn’t for the food, this restaurant would have been lost to us. 100% recommend you to visit it if you love delicious food. Beware – the customer service was not up to the par though. We spent about €16 altogether and it was well worth it. Ascua was the last restaurant we tried in Sofia and it was the most expensive one. Once we opened the doors it seemed like going into the posh restaurant. The waiters were speaking good English, the quality was up to the par, the environment was great and beautiful. The surroundings spoke for themselves and we understood that this one was going to be a high level one. 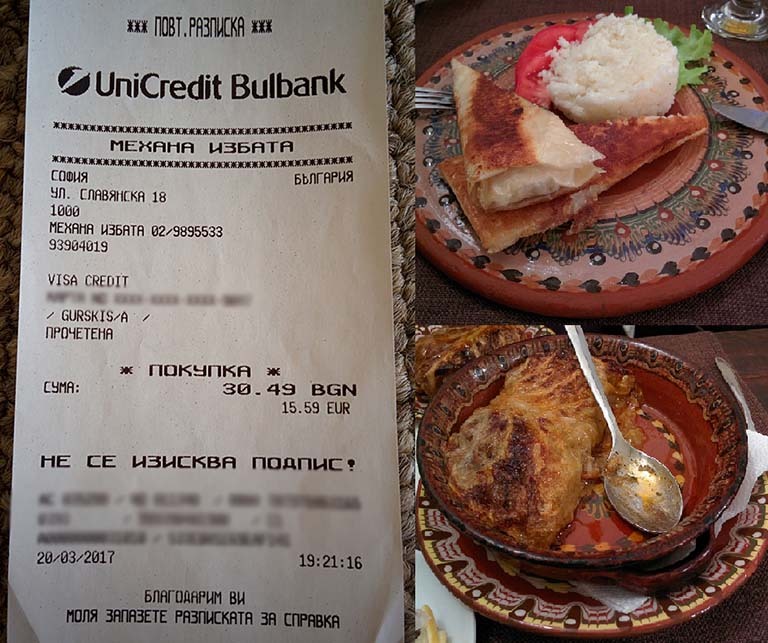 But it was our last day in Sofia, so we acknowledged that it wasn’t a sin to spend a bit more. We ordered some fancy food and it was nicely placed on the plate. However, the food was cold. The meat was just out of the grill and was hot, but mashed potatoes were stone cold. Probably forgot to heat them up, or it was some kind of special food where half of it was straight out of the fridge. Maybe we didn’t understand the process of making it. When we asked for a bill, we noticed that it had more beer bottles entered than we had ordered. Instead of removing it instantly, waiter insisted me drinking another one. I didn’t, so eventually he fixed the “mistake”. This restaurant cost us the most – a total of €20 and although the waiters spoke perfect English they tried to increase our tab payment nicely. Although it wasn’t much, I didn’t like being cheated, no matter the price. The food wasn’t as delicious as it was in the previous two restaurants too. The portions were very small and we paid the premium prices. I couldn’t recommend this restaurant for my dear readers. I was able to do so for the previous one, because the food bought out the bad customer service, but not here, unfortunately. The total price of our journey was €322.7 and that’s for two of us. This included everything from our house in the UK to Sofia and back to our house. You can definitely spend less. I included all the receipts too, because people asked me how I could afford to travel for such money. Here you have it. Now you know. There were many things to do in Sofia Bulgaria for the very first time, but I would’t get back there for another time. It’s a standard city after all. We will definitely get back to Bulgaria itself, but will skip Sofia next time. We also skipped quite a few things around the city, but these were trickier to reach without having a car. Bulgaria is a cheap country to stay in, to travel and to enjoy the good weather. However, people are not too keen on talking in English with you. I do not mind that, but you might be different. Just keep this in mind. I do recommend visiting Sofia for once. It’s a nice city with its own history. Visit the places you like the most, learn about the city itself and move on, Bulgaria is not just Sofia after all. 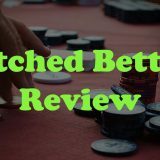 If you liked this article and found it helpful, please, share it with others. If you have any comments, advice, feedback, please leave it in the comments section below. 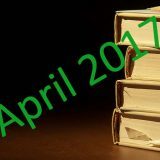 You can follow me on Facebook and Twitter too. I answer to every email, Twitter message and Facebook private message I get. 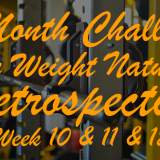 Did This Article Leave You Intrigued? There is more. Have you read these? Arnold is a Games Developer in the pursuit of happiness. Once reaching his goals managed to get lost on the blank canvas. Now he experiments on his life in a hope that one day he finds the right path to happiness. He talks about it at www.undergroundhogs.com and @UndergroundHogs. Is Sugar Addiction Any Better Than Cocaine? 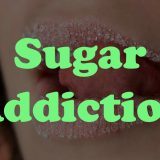 Next story Is Sugar Addiction Any Better Than Cocaine? 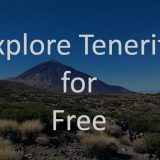 What Things To Do in Tenerife for Free? Underground Hogs © 2019. All Rights Reserved.